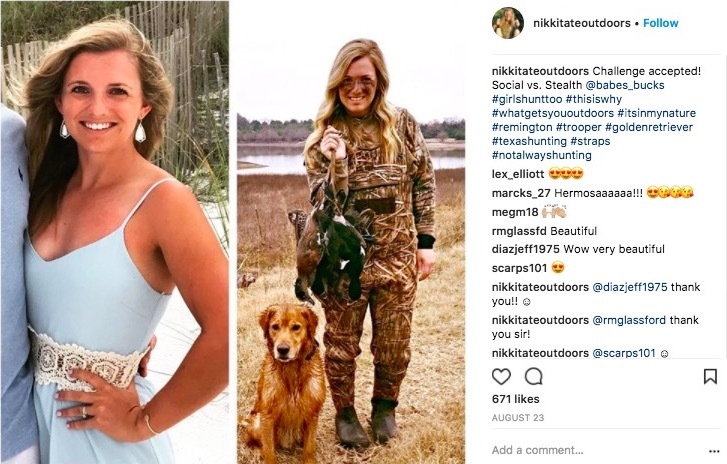 This blonde beauty is an avid hunter and has gathered over 11K followers on Instagram. I can’t imagine why. 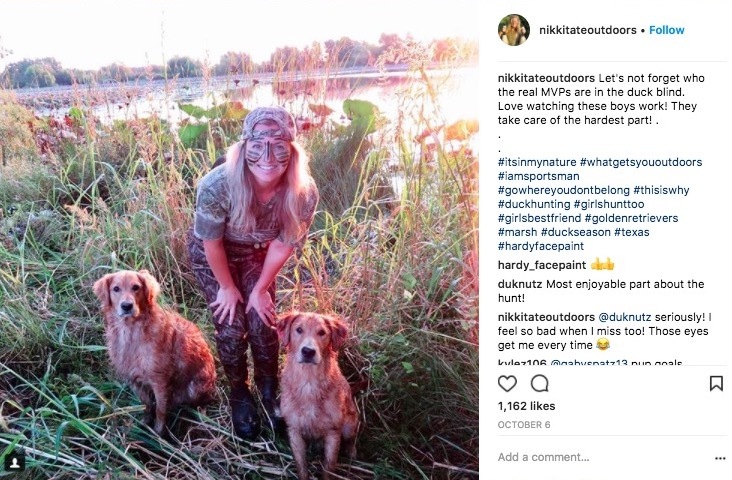 Nikki Tate, 27, is from Dallas, TX. (Of course, she is.) 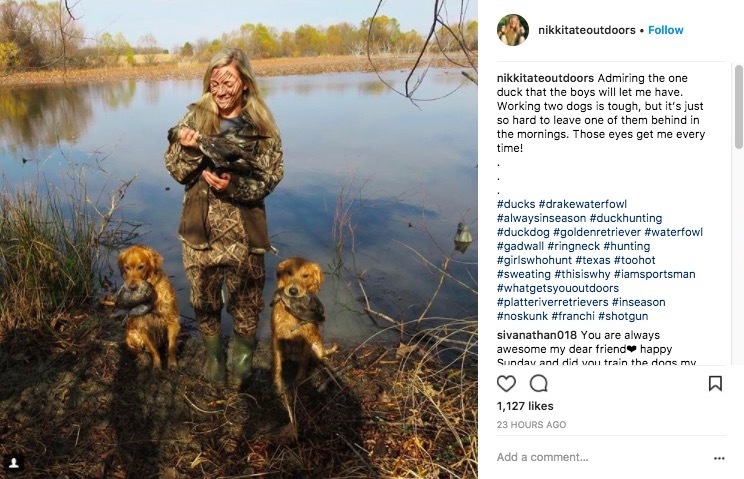 According to Media Drum World, she’s a lawyer by day and a hunter by night who has managed to feed her family for 6 months on what she’s hunted. 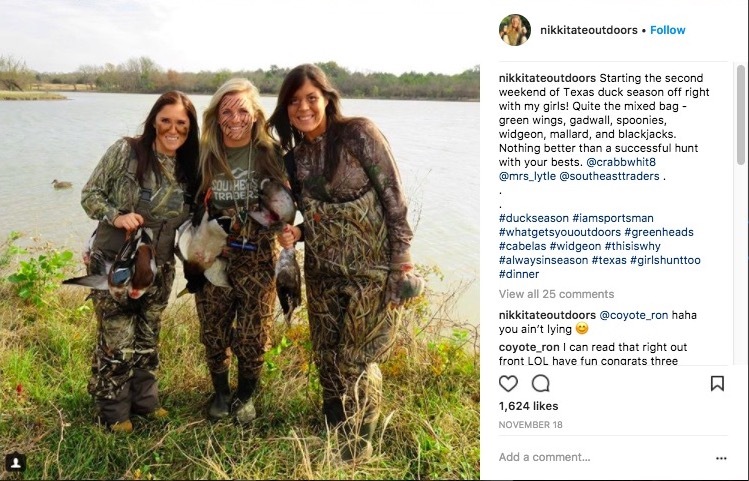 Nikki’s Instagram account has the motto: ‘Work Hard, Play Harder‘ and it seems that’s exactly what she does. 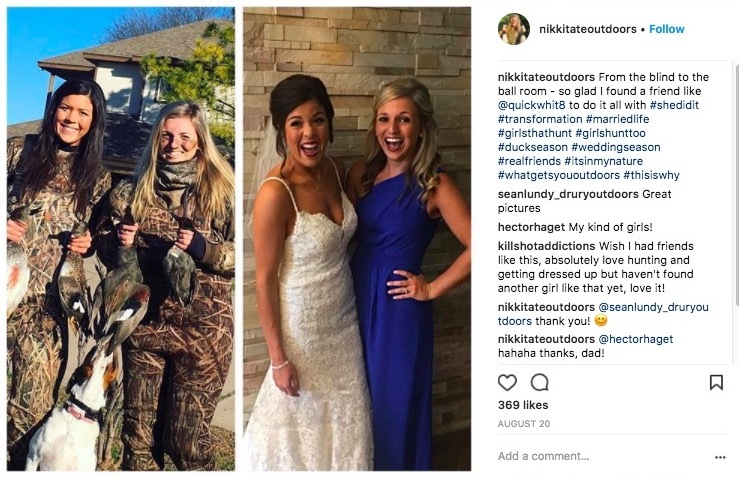 Her account is filled with photos of her hunting, posing with her kills, even skinning her catches. It also has the photos of her dogs and the normal socializing photos common to other 20-somethings on Instagram. 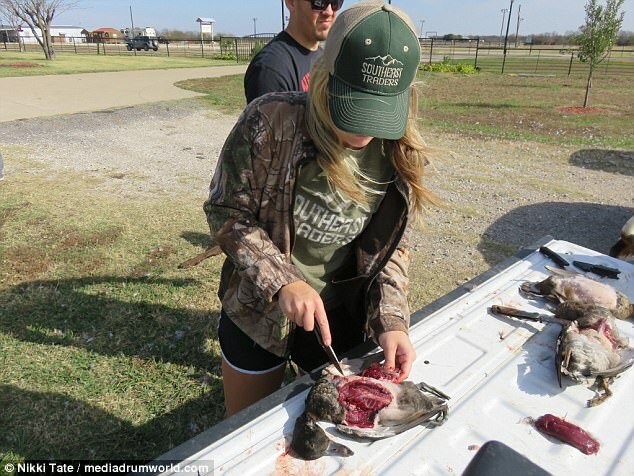 But according to the Daily Mail, some of those photos are ‘divisive’ because they’re ‘graphic’. 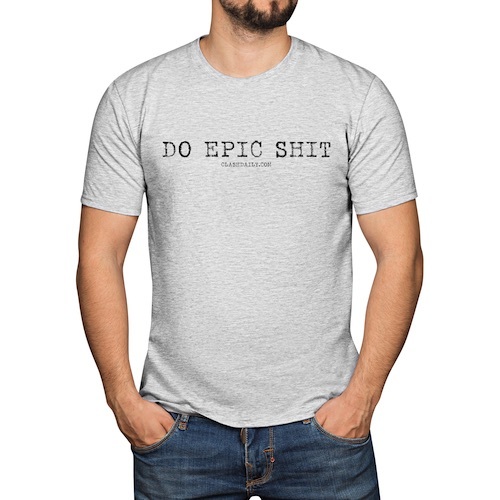 Yeah, just like the Duck Commander’s CRTV show promo, right? I guess that makes sense to someone that believes meat comes from a grocery store’s backroom refrigerator. 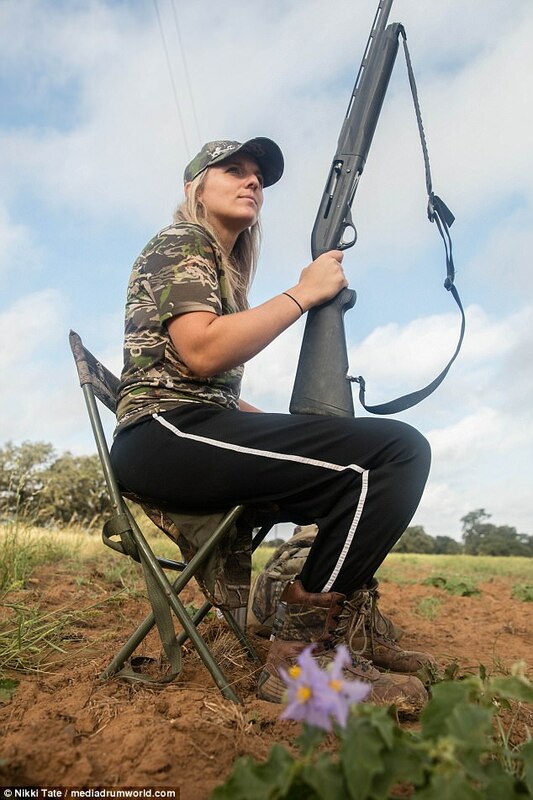 Nikki has killed coyotes, hogs, deer, ducks, geese, and doves. 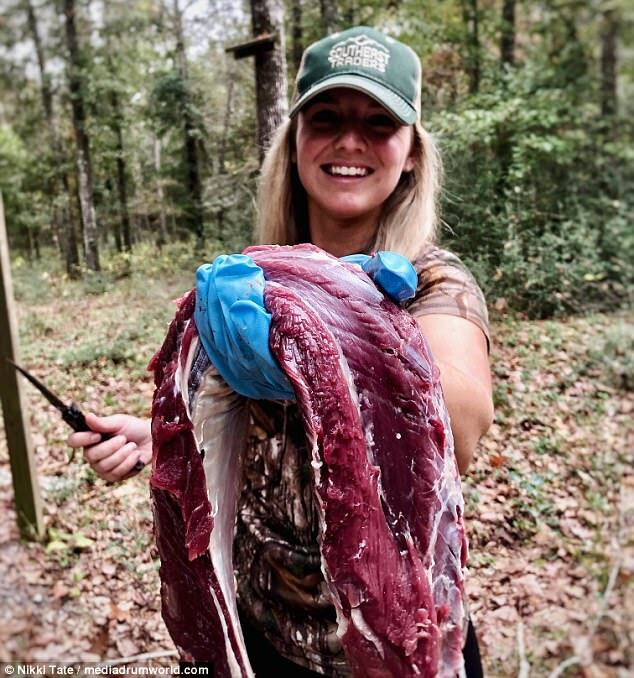 She says that her biggest kill was a 180 lb buck. 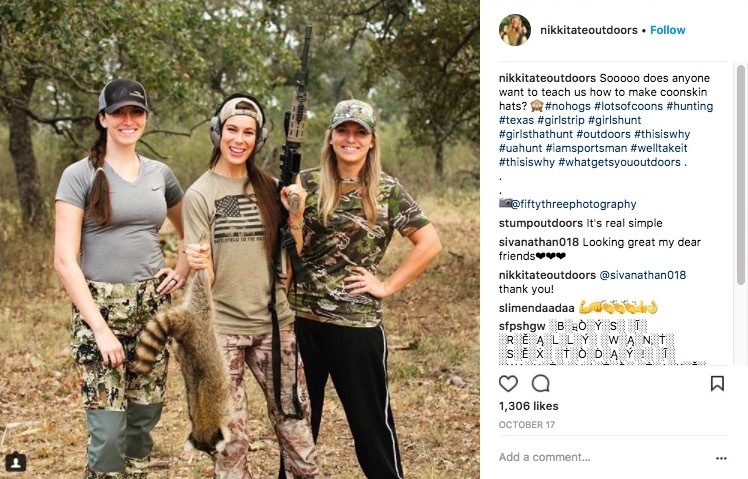 She says that her family eats everything that they kill, well, except for predators. 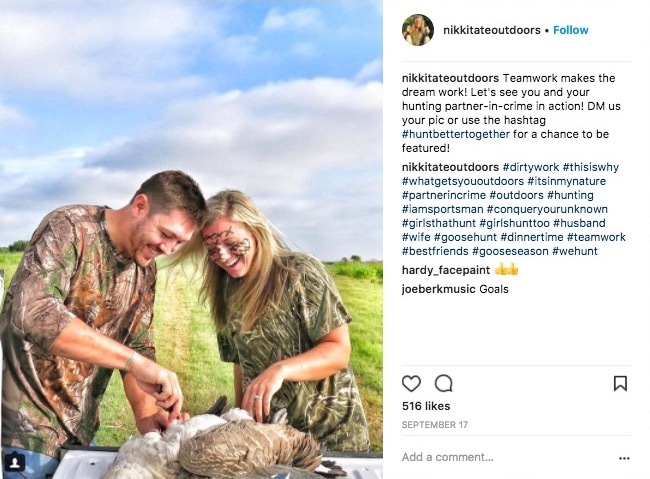 Those are hunted for population control. 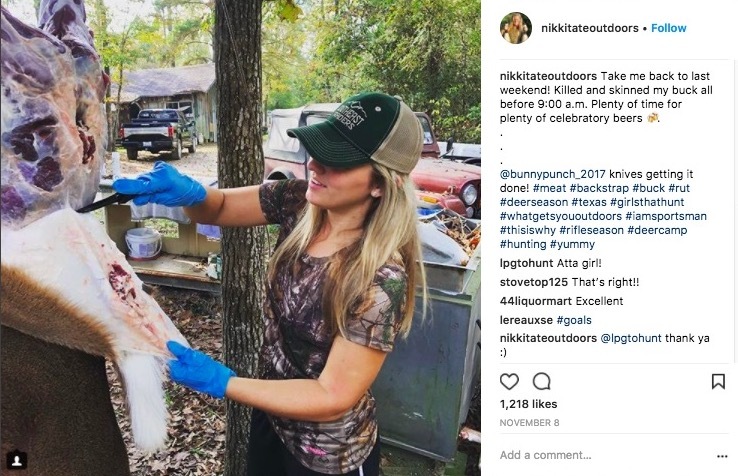 If they can’t eat all of it, they donate the meat to feed the homeless. 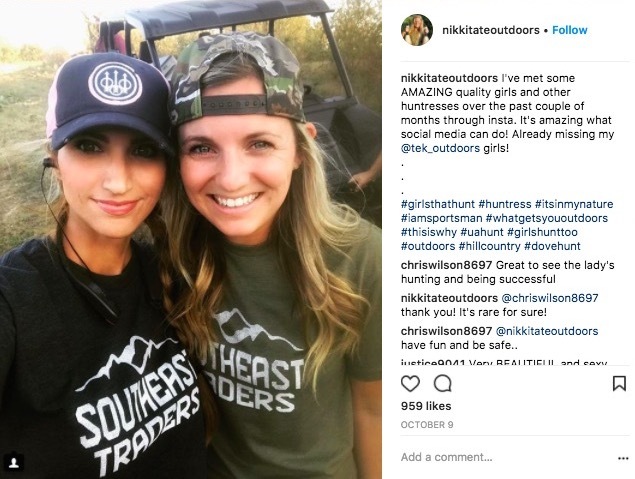 Nikki says that they also work hard to only take the ethical shots. 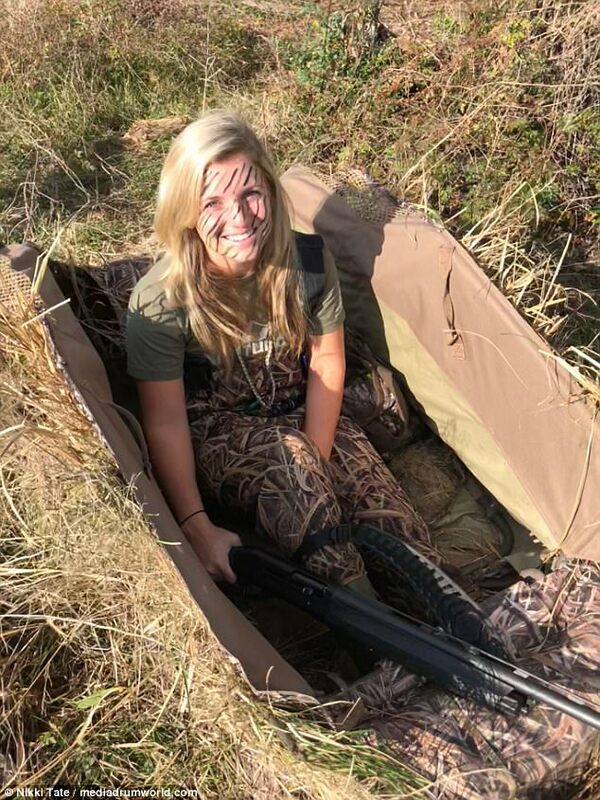 She loves to hunt but her favorite game is waterfowl. 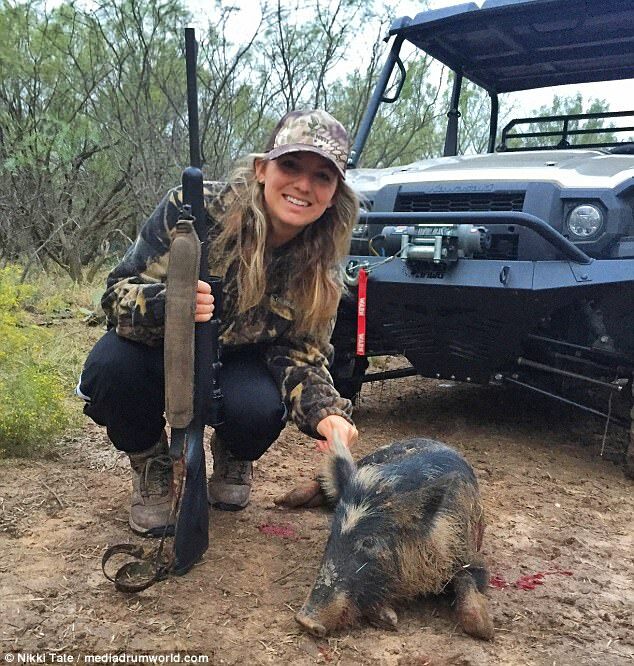 “I became involved in hunting about 10 years ago when I went to my uncle’s ranch in South Texas,” she said. 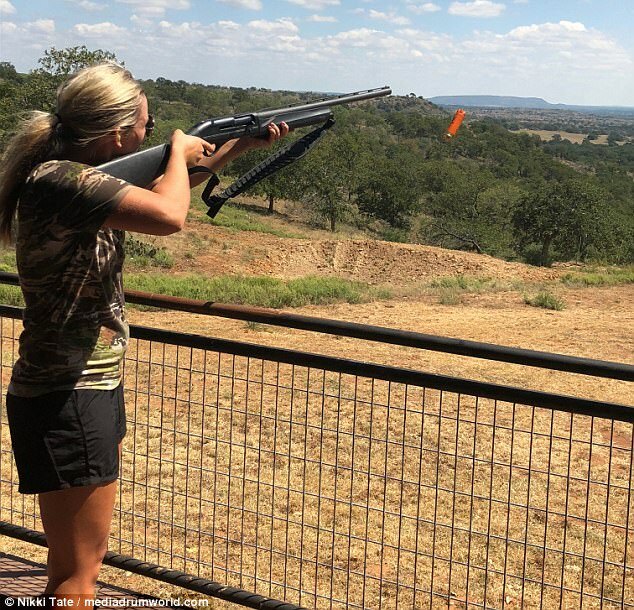 “It was then when I shot a bow for the first time. I loved the challenge, and given my athletic history and competitive personality, I instantly became addicted. 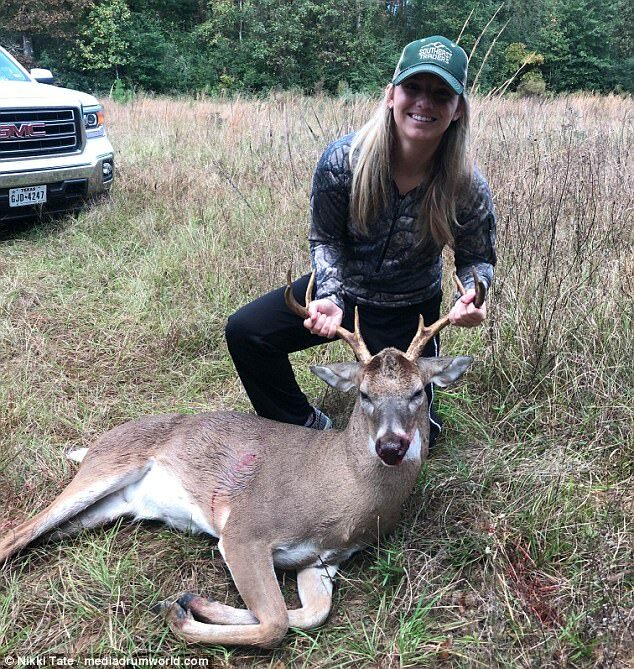 “The very first time I hunted, it was the time of year where we could only kill bucks, and I saw over fifteen doe walk past me, some within 10 yards. I remember shaking the entire time. 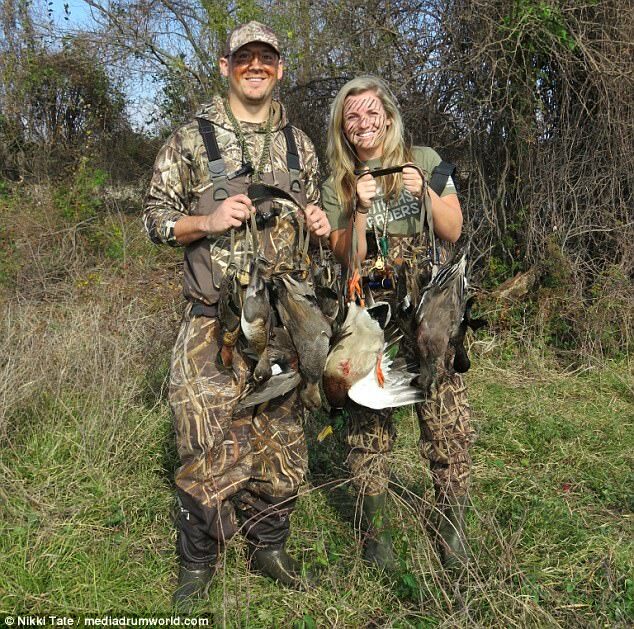 “I hadn’t pulled back my bow once, yet the adrenaline pumping through my body was unlike any sport I had ever played. Ever since that moment, I have been hooked. 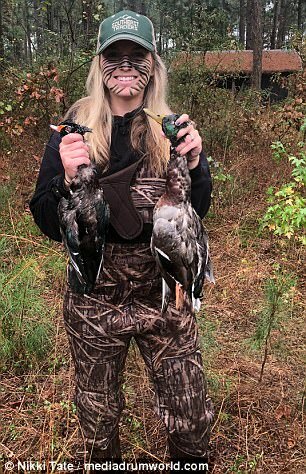 I’ve hunted several animals, but my favourite by far is waterfowl. 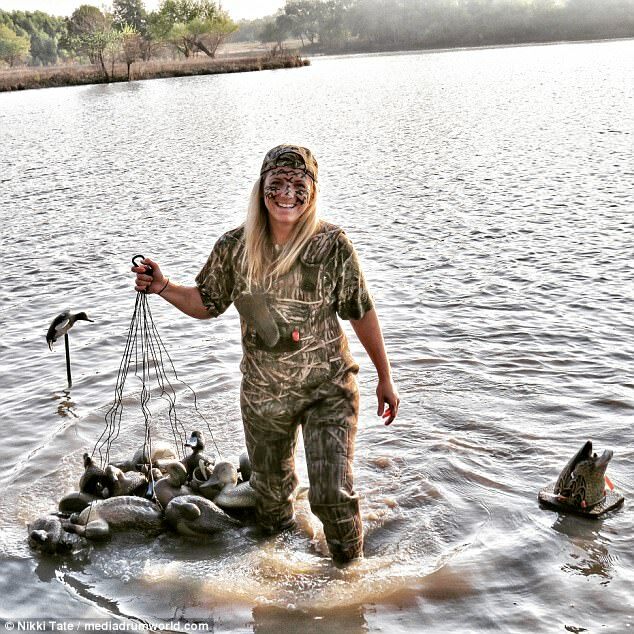 “I was always told to stay away from waterfowl hunting or else I would never go back to hunting anything else. Well, they were right. 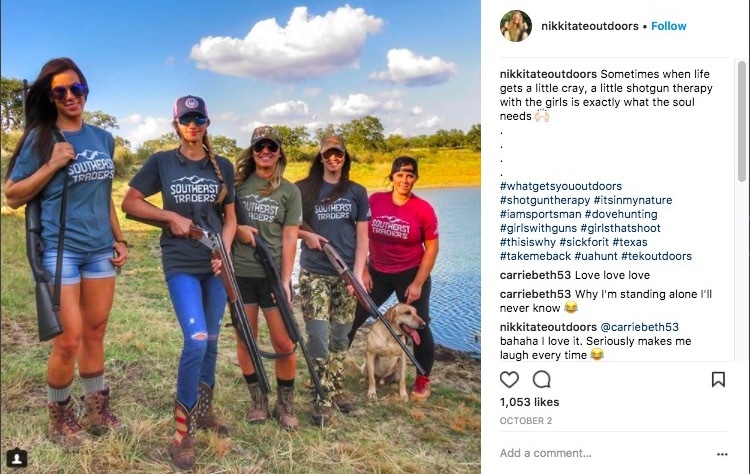 Raise your girl right to do epic sh-t just like Nikki. 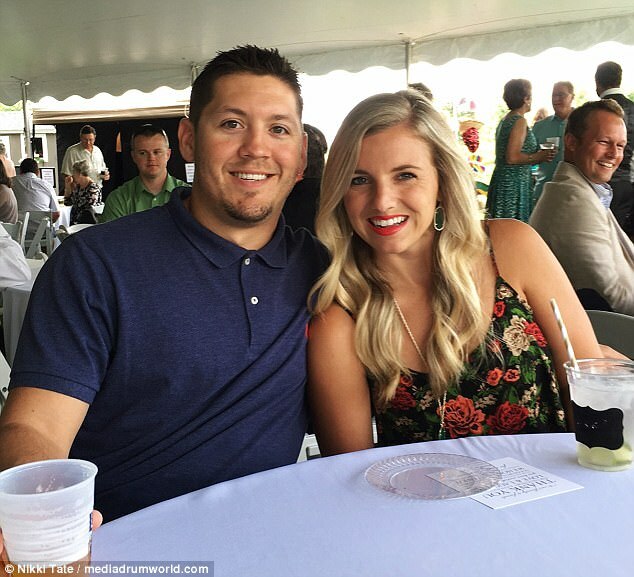 After Three Months The Vegas Massacre Is Still An Evil Mystery – Are We Being Played?